Your tub can bring you pleasure, especially in hot weather, to cool off for example. We will give you a few tips as service to keep your tub in optimum condition. When the temperatures are high and the weather is exceptionally dry, it is necessary to keep the tub filled to the brim with water. If you do not do this, serious leakage can occur. Leakage in itself is not serious, because the tub is made from natural material (wood) and wood continues to warp. Even when the leakage is quite heavy, by keeping the tub wet it will become as good as leakage-free again. 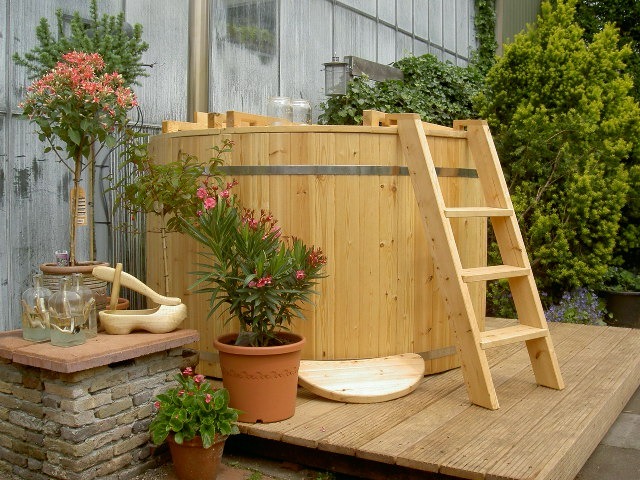 In addition it is important to treat the tub with linseed oil twice a year. This is a good idea particularly in dry weather. The wood absorbs the linseed oil perfectly and the oil is extra thin and so it is easy to apply.